Originally developed by NASA this technology was designed to grow plants in space. Plant cell walls and our skin cell walls are extremely similar, which is why we receive plant based ingredients so well both internally and externally, and like all great technology we scoop it up for our vanity purposes. LED Light Therapy sends light waves deep into the skin to trigger natural intracellular reactions. Each color gives different skin responses. There are various kinds of LED ("light emitting diode”) facials available on the market today and technology is rapidly evolving. 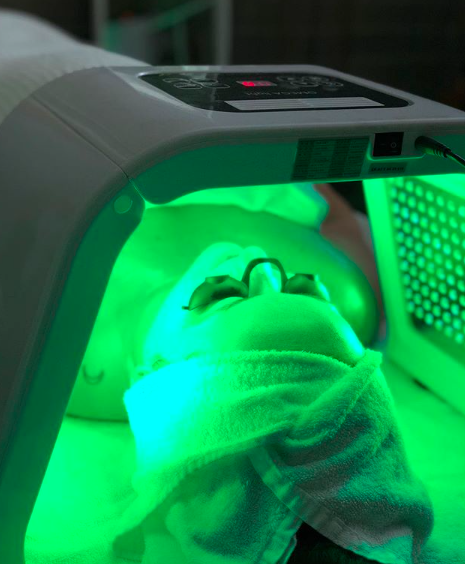 The basic premise of LED skin therapy is that different colors trigger different reactions beneath the epidermis and penetrate the skin at various depths. LED provides compromised cells with added energy so the cells performance is enhanced. There are different kinds of LED devices that can be used such as a Panel LED, like the Omega Light we use or a handheld LED. We incorporate the LED in many of our facial treatments but always before our Microcurrent treatments, consider it the stretching before the workout. Green targeting melanocytes ( melanin-producing cells located at the bottom layer of the epidermis) Preventing them from traveling to the skins surface and breaks up melanin clusters diminishing existing discoloration and hyper pigmentation. Also calms over-stimaulted skin. Great for those with hyperpigmentation/senstivities or rosacea. RED responds by building, strengthening, and maximizing cellular structure, great for boosting collagen and treating fine lines and wrinkles. Anti-aging. BLUE responds by eliminating acne vulgaris. Antibacterial properties that kill P.Acnes bacteria. GREEN responds by targeting melanocytes ( melanin-producing cells located at the bottom layer of the epidermis) Preventing them from traveling to the skins surface and breaks up melanin clusters diminishing existing discoloration and hyper pigmentation. Also calms over-stimaulted skin. Great for those with hyperpigmentation/senstivities or rosacea. YELLOW responds by reducing redness and wrinkles causing inflammation while boosting circulation. Stimaulating the rejuvenation process within your cells, the botox of wavelengths. Guasha is a natural, alternative therapy that involves scraping your skin with a massage tool to improve your circulation. This ancient Chinese healing technique may offer a unique approach to better health, addressing issues like chronic pain. 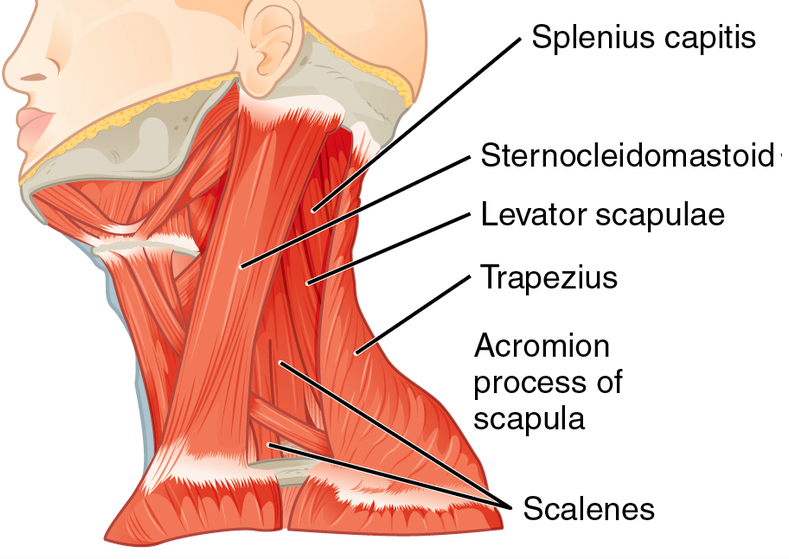 I like to bring up the circulation of the skin in my facial treatments, with massage, or stimulation of product, so this scraping of the skin to release, made total sense to me. I love to educate myself and to explore all avenues of wellness and holistic practices so I made an appointment at Horn Holistic Acupuncture. Once I arrived we reviewed my paperwork, went over why was I there, health care concerns, work aches and pains which live all in my shoulders, my metabolism, and the usual medical history. As we went through the consult all things pointed towards my liver. Holy pepperoni, mama needs a detox. Jenny chose acupuncture and the GUASHA for my first session. I was so relaxed and instantly felt my sinuses open when she hit the points in my face with the acupuncture needles. For someone with chronic sinus issues that was a swoon moment. 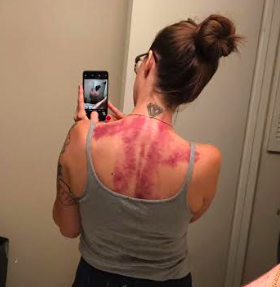 This was my first real acupuncture experience, outside of the few pokes she gave me during Release Repair Rebalance days before. We discussed diet, stress management and the Detox Cleanse we will be getting into over the next few weeks. Which is vegan and gluten free ! Hot Damn. Needles removed, top off, flip over, Guasha!! 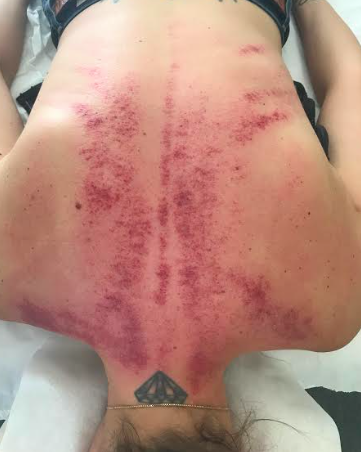 She applied an oil all over my back and took what looked like a large spoon and began scraping in downwards motions along my back. To my surprise, it didn’t hurt, I was prepared for some intense torture. At points it felt as if she was slightly working out a knot in my shoulder, but never to a point were I needed to tell her to stop or back off. In a flash, the treatment was over. That afternoon I was full of energy, which I should’ve been dead, I was coming off a killer sinus infection. It looked the gnarliest that evening, dark in hicky color all across my shoulders. I showed the kids, explained to them it was a treatment etc, I didn’t want them to be scared if they randomly saw it, but they could’ve cared less, they just called me weird and went on with their business. I could truly feel the toxins wanting to leave my body, I craved tons of water for about 72 hours. I highly recommend trying Guasha, I feel so good post treatment. My usual pain in my right shoulder has gone down dramatically. Next we try cupping and I plan on participating her her next round of detox cleanses. It is hard to line up with friends schedules these days, coffee, dinner, drinks? My side of town or yours? Life is busier and busier, and when you do get the time to hangout and catch up, coffee, or a bar isn't the choice I want to spend QT with my BF. I am an old granny, I can't handle coffee past 3pm, and don't want to have a wine fog in the AM after 2 glasses of red. Connection + community are just as big of a part of self care as mediation. We are social beings and living on our computers, social media, an the ability to work from home, is removing us further from that. #commonhangouts. We are striving to create a place where you can do self care, have an experience, catch up with a friend, create new connections, outside of the food + drink arena. Yes, sometimes we will have wine night with our girls night, but that is coming with an experience you can't get sitting in a booth. Peep our Events calendar on upcoming hangouts. Please let us know what you are looking for in an experience too. Available for private hangs too, email us to book for you and your friends. Micro current. Lighting Fast Results, Recharge your Youth. Hands up if you want to age gracefully? Hands up if you're against Botox. Micro current is for you! Hands up if you can't live without Botox. Micro-current is for you too! This electrical wavelength treatment, tightens both the skin and the muscle, creating a non-surgical face lift. Some call it pilates for your face. Smoothing out lines and wrinkles, and lifting eyes and jowls. Our Costa Mesa Shop is officially ready for clients. 80 Minute Microcurrent/ LED Light Therapy on this beauty. Get the best skin of your life. By now, you may have heard someone say that their skin changed after eliminating dairy, or you had you esthetician ask if you consume a lot of dairy, why is that? Dairy is inflammatory, and has NGH ( natural growth hormone, aka all mothers milk has hormones) which in some people this may cause acne or even cystic acne. Take a look around your mouth and chin, look closely, hold the skin taught. Do you have white build up in your pores? They never head like a zit, they are not blackheads, this in some folks is caused by your dairy intake. It seems to happen around the mouth/chin because this is your hormonal area of your face, so extra hormones in your body may cause more fatty sebum to collect in this area or create cystic acne. Experiment, try cutting back on dairy, subbing some out, Almond or coconut milk in you coffee, pass on the cheese plate and try my favorite Trader Joe's Chocolate Coconut Milk Ice cream instead this next grocrey run. Give it at least 3 weeks, but I bet you see a difference by day 10. It'll be worth it. A huge thank you to VoyageLA for helping spread the word about Common Rituals and what we stand for. The more people to assist in Empowering Change in both Planet + People the better. I am so grateful for the opportunity, please check it out! Skincare that benefits more than just your skin. What do breakouts and excess belly fat have in common? Stress + High Cortisol levels. Light up your internal and external Collagen.